With 2015 behind us, supply chain members and friends from the label and package printing industry look forward to 2016 with their predictions for what the year ahead might hold. 2015 has had many highlights, including another record-breaking Labelexpo Europe. With multiple major shows on the horizon in 2016, including the next Labelexpo Americas, there's potentially even more to look forward to next year. You can see what the industry predicted might occur in 2015 here, and in 2014 here, and assess how these predictions matched up to reality. Returning to the year ahead, Mike Fairley, Labels & Labeling strategic development director, provides an introduction, looking at the big themes and trends he has identified as being the 'ones to watch' in 2016. Andy Thomas, Labels & Labeling group managing editor, details how the label industry is changing more quickly than probably at any time in the 38 years since the magazine was founded. Mike Ferrari, brand packaging consultant and the founder of Ferrari Innovation Solutions, sees that, 'the ability of digital print and digital workflows has opened an appetite by brands and printers alike'. Trying to look into the future of label printing is bound to be a challenge. The industry continues to change at an ever increasing pace and few would dare to predict where materials, technology, markets and applications will be in the coming years. Yet some developments and evolutions almost look to be certain. Digital printing of course continues to evolve, but much of the change now taking place will see inkjet press sales escalating at pretty well every level of technology, from low-cost 4-color entry machines right up to 8-color and hybrid presses. Indeed, something for everybody. Capital digital investment for small and start up label converters ‒ even commercial printers ‒ is probably now starting at its lowest level ever, with good quality 4-color digital presses from little more than 45,000 USD (40,000 EUR). This will undoubtedly bring even more printers into the world of digital label printing and we are probably not looking too far ahead to see new digital label and hybrid press sales outstripping those of UV flexo. Combine such developments with all the other areas of label industry digitization now taking place and the label plant of tomorrow is going to look significantly different, and operate rather differently to that of today, particularly in the area of color and color management where new color management tools and consistent spot color matching technology will ensure ever more outstanding results. Press set-up verification for repeat jobs, enhanced quality reporting and management tools, remote accessing of presses and press operations will in turn undoubtedly lead to press management and operation becoming more computerized and IT-related than ever before. Even many of the office and management-based technology changes are having a significant impact on the label industry, with the ongoing development of more sophisticated management information and workflow tools, while even labelstock ordering is moving to app-based tools that simply scan barcodes to place orders. The real challenge for the label industry of tomorrow however, is not so much in the fast pace of technological change but in the challenge of attracting and retaining a new younger generation of computer-literate, IT-skilled, internet-savvy, employees that will grow the label industry for the future. The label industry is changing more quickly than probably at any time in the 38 years since Labels & Labeling was founded by our colleague, ‘label guru’ Mike Fairley. The changes are being driven by the rapid digitization of the labels and package print industries – and this means more than simply digital printing. But digital printing is a good place to start. Current trends show that around one quarter of all new press installations in developed markets are digital, a figure likely to increase. At the same time the digital choices available to label converters have become both richer and more complex. The toner technologies pioneered by Indigo and Xeikon are today well entrenched in the high-end market where traditionally offset has ruled. Now various flavors of inkjet technology are starting to make a mark – and not displacing the existing digital technologies, but complementing them by targeting the ‘industrial’ markets traditionally covered by screen and pre-printed flexo/thermal transfer overprint. 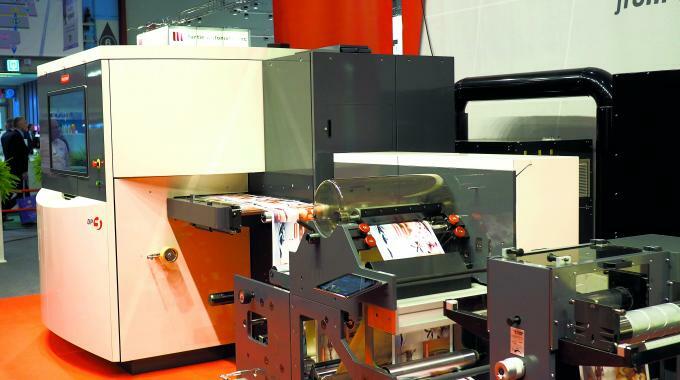 And whereas in the early days of digital most presses were stand-alone with off-line finishing, today a new layer of complexity has been added with the integration of digital and flexo technologies. How this develops in 2016 will help define the future direction of the narrow web industry. 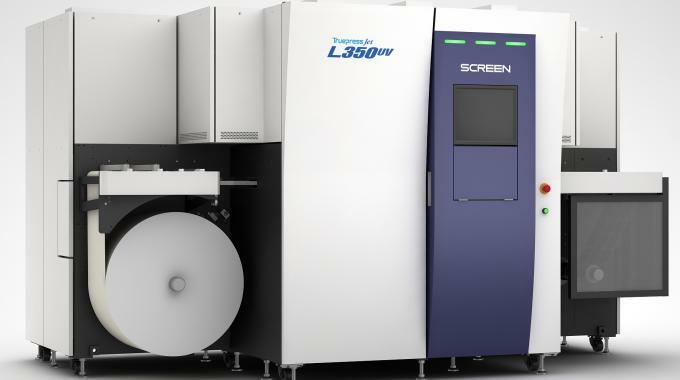 The major conventional press players are integrating UV inkjet as ‘just one more’ added-value option in a combination press which includes in-line converting. At the same time, manufacturers of stand-alone digital presses have started integrating their engines into finishing lines, a trend that started with EFI but has now extended to players including Domino, Durst and Colordyne. Whichever configuration is chosen, 2016 will bring closer the fully automated processing of digital webs. Key elements here include the further refinement of laser die-cutting; digital application of cold foil using UV curable, jet-able adhesives; UV inkjet spot and flood varnishing; automated slit and back knife positioning; and turret rewinders working with or without final inspection systems. At the same time, digitization is also transforming the ‘conventional’ print processes: press settings can be instantly recalled for repeat jobs; automatic setting of both print pressure and register is now available; color management is moving away from on-press adjustment to digital workstations. Hybrid print shops, where jobs can be seamlessly switched between digital and conventional presses, are now a reality as spot color simulation and process print comes to flexography. And the process of choosing which route a job takes can also be automated using the latest management information systems. All these developments will help ensure that conventional printing remains a viable technology in 2016. A third area where digital is making an impact is the emerging paradigm of ‘customer engagement’, whereby brands want labels that interact with customers to drive loyalty and increased sales. These technologies include QR and other 2D codes, NFC, RFID, Augmented Reality, randomized design and on-demand variable imaging. Converters who understand how these imaging techniques slot into wider information management systems to track customers interaction and ensure traceability through the supply chain, will find a profitable niche acting as consultants to their brand customers. What all these digital developments have in common in the possibility of adding value to the labels and packaging we produce, and thus increasing the profitability of forward-looking converters. The past year has been filled with brands launching new innovative labels and packaging. The ability of digital print and digital workflows has opened an appetite by brands and printers alike. The growth has been recorded across the globe. 1. Increase digital print press manufacturers will enter the market with inkjet. These will be launched and on display at drupa from traditional analog press manufacturers as well as new entrants into the marketplace. Why inkjet? Because it is an easier technical path forward through the integration of nozzle heads and inks already available. 2. The label market is now 'crossing the chasm' and going mainstream. Traditional label printers are having revenue and margins erode when they do not have a suite of analog and digital print presses. Improved press speeds, greater ink range, operational economics and no end in sight for increased sku proliferation make digital printing an obvious choice for the label industry. 3. Brands are struggling to harmonize their marketing messaging across all the shopper channels, but they are seeing that digital printing does offer technical solutions. There will be an increase in the number of promotional launches vs. 2015 (Personalized Coca Cola, Frito Lay, Budweiser). The competitive landscape for brands will drive further engagement of consumers to increase revenue. Brands are now aware what’s possible with digital printing, and in 2016 we will see many brands following the market leaders of 2015. It has never been so important to make the correct machine investments than today. Techniques are overhauled faster than you can make money with it. We were the first in Germany doing laser die-cutting and have been using digital inkjet printing for more than five years. This helped turn a dream into reality. Now we are looking forward to find the best partners to create with us the next generation of this wonderful technology, individualized for our jobs and customers. We believe in the future of digitalization and still expect enormous growth. But there will still be more specialization through inkjet, hybrids or flexo presses. No machine is the wrong machine if you have the vision of what to print on it. In our company we in the label business for a third generation and we are still enthusiastic about this ‘sticky business’. As an entrepreneur and Finat president I know about the mountains we have to climb in the future. Recycling, standardization, food packaging laws, etc. But we are a strong industry and have the energy and power to find our route over high mountains and through deep valleys. The trends toward faster time to market, smaller lot sizes and market differentiation are not slowing down, and as a result, we expect to see increased penetration of digital printing technologies in the label market, as well as more emphasis on HD technologies for flexography for higher quality and lower crossover points between flexo and offset/digital. Also good color management will be key, as many products will use hybrid label production with digital, flexo and/or offset, and color matching remains a must. The latest Finat Radar survey of more than 70 brand owners supports these predictions. They told us that European consumers are more demanding, health conscious and price sensitive than ever before, and they increasingly value environmental sustainability. Labels are an important vehicle for communication with consumers at the retail shelf. And despite the increase in ecommerce, brand owners overwhelmingly indicated that this trend would have no impact on label designs or complexity. The interaction at the shelf or when the consumer has the product in hand is still critical! And the good news is that label volumes should continue to grow in 2016, by four percent or more. Also noticeable is that nearly half of our respondents indicated they are considering migrating from self-adhesive labeling to alternatives like shrink, wrap-around or in-mold for specific applications. At important industry events like Labelexpo and drupa, then, look for more entries in the digital label printing market and for solutions that offer increased quality and efficiency with traditional printing technologies that can equally address both self-adhesive and other label types including shrink and wrap-around. While equipment investments in the past few years have been sluggish due to economic issues, we expect to see that pick up in the coming year, especially with anticipated new product entries into the press market. Overall, a bright outlook for 2016 in the world of labels and labeling. 2016 is going to be a year packed with business deals, launches and as always, change. The board of EFIA meet monthly to discuss industry trends, strategic needs and how the flexographic industry specifically requires support. We anticipate that 2016 is going to be a year of investment. Not just in machinery, and research and development, but investment in people skills. Attracting skilled labor is becoming a significant issue in the mature European markets. You only have to visit a printer to see the average age of the printing employee is climbing rapidly. With many governments around Europe committing to apprenticeships and investment in training programs, EFIA is hoping that 2016 will be the year we see investing in printing and packaging skills back on the agenda. Of course, the EFIA Training Academy is ready and waiting. With over 200 students having gone through the flexible 14-module program in 2015, the system will be upgraded in 2016 to support what will become a critical need in the industry in the next few years. We also believe 2016 will be a tipping point for digital printing in the broader packaging market. We’ve debated long and hard about the role of digital in a flexo press shop and concluded it is a complementary technology to deliver the mass customization and flexible marketing approach that brand owners and retailers seek. It is already well established in labels and we see its integration into packaging being likely to accelerate as Drupa approaches. Change is everywhere. We see it in the volatility of currencies. In climate. In globalization, and commoditization. And also in consumer demands and tastes. We believe 2016 will bring more opportunities for those who are ready to seize them: transforming supply chains with low time to market, and creating and fostering relationships with consumers through innovation. There is a sense of urgency regarding global warming, as the Paris Climate Conference showed us, and digital print can support a more sustainable packaging industry. We also see this pull for HP Indigo from brands themselves, as more brands across the world launch innovative campaigns with Indigo. In an era where personalization, mass customization and even the creation of millions of unique products has gone mainstream, innovation is not a ‘nice-to-have’. Creativity will see no limits. We firmly believe in continuing to provide the tools and technologies to support the widest range of applications, as we showed with SmartStream Mosaic and new inks such as Premium White. Quality remains as important as ever, and strong color management capabilities will continue to be a strong differentiator. We envision that the tools for color management will become even more sophisticated, which means less complexity for converters, and much needed reassurance for brands. We remain committed to help converters harness productivity like never before. The versatility of the technology will allow converters to increase the throughput in each shift, making them more efficient than ever. The only way to deal with constant change is to remain flexible. Our mission is to ensure our customers remain a step ahead of the industry, of the competition, and the circumstances – whatever change may lie ahead. See you at drupa 2016. 2015 and more specifically, Labelexpo Europe 2015, has been a great illustration of how the market has shifted enormously. There were more digital presses on display (96) than there were flexo presses (74). All leading flexo press providers had some kind of digital solution on their booth. We expect 2016 to be the year of truth for many of the newcomers, testing their ability to bring digital printing technology to market, find the right fit and build a sustainable business. At this point, it is clear there are just too many suppliers, so a shake-out can be expected. Do not take for granted that the larger suppliers will always survive. On the other hand, there is the potential to expand the capabilities of digital printing by integrating different technologies on one platform as has been done in conventional presses for years, creating an end-to-end solution for high-end labels. Fusion Technology, announced at Labelexpo, will accomplish this, with the first modules available in 2016 and it will be exciting to see how the market will pick up on that. It has become clear that for suppliers to ignore the digital transformation and the opportunities it offers for printers would be a serious mistake, and we must consider more than just the press. This includes more transparency with customers who are increasingly demanding more real-time data from producers in order to monitor all stages of production. This can only occur with an integrated manufacturing platform that encompasses everything from project inception through delivery and beyond. Maybe 2016 will become the year of Labelprinter 4.0, a result of the 4 industrial revolution and driven by the connectivity of different processes/different machines to drive performance and productivity. 2016 will see continued focus on that million-dollar question - what does the brand owner want? The answer is the highest possible print quality, an increasingly large amount of variation (more (SKU’s), no inventory, ultra-short lead times and all at the lowest possible cost. Individually there is no single process that can deliver it all. As such, I believe that more packaging converters will choose ‘hybrid’ solutions in 2016. Hybrid solutions combine print technologies, allowing converters and brand owners alike to offer economic short run printing. An example of such a system is the Goss Sunday Vpak with variable repeat web offset at its core easily combined with integrated flexo and/or gravure units. Such systems benefit from the low plate costs associated with offset, high image quality from offset litho process and the opaques and varnishes from flexo and/or gravure. Add to the mix some digital capacity for variable data, a trend we have seen recently, and converters can enjoy the benefits across the board. The key to survival next year and beyond in this fast-moving sector, where brand owners are continually pushing the boundaries to attract consumer’s attention, is flexibility. Hybrid systems with offset, flexo, gravure and digital also provide a means for converters to easily and quickly adapt to customer requirements. As such, this will also drive further take up of these systems as brand owners put ever increasing demands on converters to respond quickly to changes in market demand and increase packaging design complexity. The ever-growing importance of sustainability has again been emphasized to us in 2015, specifically for packaging applications including labeling. Although many developments have already been done, it is also becoming clear a lot can still be gained here. An example is the big interest in linerless labels that had a very prominent place at Labelexpo Europe 2015. Many parties worldwide are exploring the possibilities with linerless labels and it is expected that this interest will result in investments in this technology in the near future. Besides linerless, more sustainability concepts are explored within the label industry. Maan is continuing to develop possibilities with biodegradable hotmelt, which could give a boost to sustainable labeling. Optimizing coating technologies can result in material and cost savings, and contribute to sustainability. The growing demand for flexibility, also in the printing industry with digital printing, needs modern sophisticated coating technology that can easily be integrated in new or existing production processes. What has become clear as well is that cooperation between different value-chain partners is crucial to making sustainability projects successful. The Linerless Trail and Working Without Waste are good examples of co-operations that will be the key to success in future years. The level of investment in UV inkjet by leading label converters proves that the technology can produce high-quality labels, on demand, on a variety of substrates and at industrial production levels. In 2016, we will see inkjet continue to pressure electrophotographic as the preferred complementary technology to flexo. The perception that inkjet is suitable only for the production of general ‘everyday’ labels is changing, particularly as the Screen Truepress Jet technology brings the next level of quality to inkjet label printing. I also see UV inkjet starting to be used to print the majority of labels, leaving ultra-long runs and speciality complex labels to be printed using other methods. Label finishing techniques will also develop. There is plenty of debate regarding in-line/hybrid and off-line, including laser finishing. It is very much dependant on the complexity and the run length of the job. We offer what we like to describe as near line finishing with the flexibility of both finishing in-line and off-line to suit. Ultimately printing is only one part of the label production process and the goal is to produce finished rolls of the desired quantity. However the speed and set-up of the finishing processes still remain the bottleneck of an efficient digital solution. There is certainly an argument for two off-line solutions being serviced by one inkjet printer. The enthusiasm for combining digital Inkjet printing with traditional flexo in a single pass or so called ‘hybrid’ printing. Having launched Graphium, FFEI’s digital hybrid press in 2013, it was flattering to see so many well known companies bringing their own hybrid solutions to market. In 2016 it’s certain we will see the rate of adoption for this type of solution continue to grow rapidly, supported by even more choice from suppliers. Even companies like Xeikon were exploring inkjet combined with their own print technology. It was interesting to see how Xaar is positioning its new inkjet printbar for high margin embellishment applications. This very much follows the trend towards combining different print technologies in a hybrid solution. I think we will start to see more of this type of thinking as people realize the benefits of leveraging existing press investments with inkjet add-ons for more than just coding and marking. The new digital fluid technologies will open up all sorts of potential for short run, but complex, label and packaging designs. In 2016 look out for not only digital screen white and varnishes but also metallics, adhesives and other exotic effects enabled with inkjet. The market is becoming more educated on what to look for with inkjet investments, especially when it comes to reliability. Inkjet systems need to be workhorses in order to pay their way and so prospects are looking ‘under the bonnet’ in their evaluation, rather than just headline specs. Basic issues like nozzle outs aren’t accepted, when productivity is key to increasing profit margins. We had a lot of feedback and questions at Labelexpo Europe 2015 concerning uptime. Label converters are realizing, for example, that quality of build and lower level printhead features, such as the through flow TF technology, result in more regulated ink temperature and reduce the risk of nozzle outs from fluctuating viscosity, bubbles or debris. The result is a significant improvement in visual print quality (accuracy of dot placement, fewer defects, reduced noise), exceedingly long head life and lower maintenance. So getting the balance right is key to uptime and overall system viability. In the coming year we expect to see much more emphasis on uptime and service costs. I relate the large portion of digital booths at Labelexpo Europe 2015 as evidence of the digital trend in the industry. Not only by looking at the presence of existing digital printing vendors, but also by the various aspects of digital solutions, including hybrid type devices by conventional press vendors, digital decorating and laser die-cutting. Obviously, we see demands coming from brand owners for purposes such as target marketing, variable data and short runs. Digital is one of the solutions for this demand, however, until now, it required initial high investment and adapting to the new line of business could be harmful if you don’t have enough volumes to run on digital. Konica Minolta has presented its new solution for an affordable investment into the digital world and expanded digital opportunities for converters. We see a strong growing demand for digital in the label industry and we are looking forward to contributing to it with our solutions. Ravenwood installed its 1000th applicator in 2015 and with more coaters being installed it means that Ravenwood’s print partners are producing approximately 30 million linerless labels every week on paper, card and film. Skin pack and super-protruding skin pack labeling has also been a major growth area in all countries and markets , as retailers and packers like the extended shelf life, which gives more choice to the consumer. The Nobac system allows card and film labels to be applied onto most trays of beef, pork, lamb and fish. 2015 will be the first year that Ravenwood has sold more applicators outside of the UK than into the home market and company managing director Paul Beamish expects this trend to continue through 2016 as well. We believe 2016 will be a big year for sustainable labeling and digital printing. As one of 140 organizations that signed the American Business Act on Climate Pledge for companies to reduce greenhouse gas emissions, Avery Dennison is deeply committed to sustainability. Following our recent participation at COP21 in Paris, our goal is to help customers continue to expand upon and achieve their sustainability objectives. Sustainable solutions can be achieved several ways. Price parity of FSC-based facepaper with standard paper can simplify material choices. Enhancing a label’s functional impact can help brand owners achieve sustainability goals. We continually seek out new concepts along these lines. We also note that digital printing is growing significantly, up 50 percent in value and 32 percent in volume for print and printed packaging since 2010. This will continue, and by 2020 nearly 90 percent of new digital installations will focus on label applications. Digital will continue to displace analog as its quality and economics improve. Interestingly, inkjet printing is expected to grow at twice the rate of electrophotography. Since 2010, inkjet’s share has nearly tripled to 35 percent of the digital installed base. Our observations from Labelexpo confirm that inkjet hybrid technology is coming fast. Continuing to serve our customers with innovations and insights allows Avery Dennison to deliver solutions for today, while keeping an eye on tomorrow’s trends. In 2015, we have witnessed three trends in the packaging industry that will continue into 2016 and help strengthen the role of pressure-sensitive labels in packaging decoration, and more specifically film labels. In the highly competitive food and beverage markets, consumers are increasingly basing their purchasing decisions on what they see, which is driving brands to design new and innovative containers that allow quality and freshness to be seen through the packaging. At the same time in the beverage and personal markets, consumers want a more unique and individual experience, like personalized decorated cans, and a wider range of product varieties that allows them to continue to discover new products. This results in higher, much smaller batches that require decoration technologies flexible enough to label a large variety of packaging substrates. Now, brands want to satisfy these consumer demands and differentiate their products while also reducing their packaging costs. Therefore, it is not surprising that both small and large brands are continue to switch from glue-applied to pressure-sensitive film labels, and more specifically to the no-label look in order to meet these three trends and ‘premiumize’ their products and brand image. For the highly sought after no-label look, thinner gauge PET labelstock is rising as the new standard; It is invisible within arm’s reach and still provides dimensional stability and excellent ink reception and dispensing properties while allowing manufacturers to realize productivity gains and packaging material reductions throughout their processes. 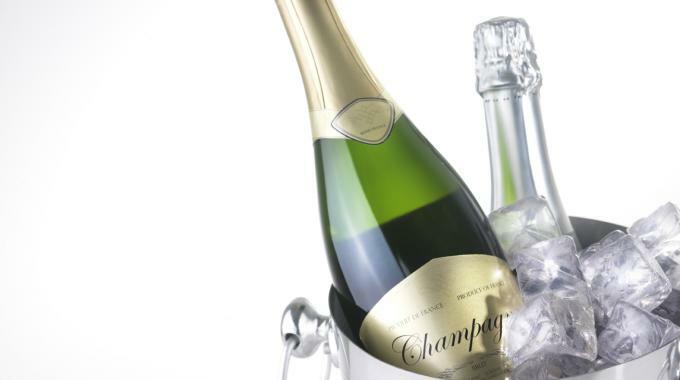 Packaging decoration trends and innovations in 2016 will also require increased conformability and digital printability for shorter runs and a wider range of white and metallized film substrates with the best adhesive performance for each situation. UPM Raflatac is broadening its film product offering to meet all of these demands and developing new adhesives for even the most challenging applications. The company works closely with label converters on-press and in the field at application to help maximize efficiency gains, assist in technology transitions and bring new, innovative and sustainable solutions to the packaging industry. Thermoforming IML is a market reality and set to enjoy rapid uptake. The possibility to decorate across stack edges enables attractive new designs. Having recently launched the first BOPP film suitable for thermoforming IML, we expect BOPP to increase its share in this growing segment. BOPP is increasingly replacing cast foil in IML for large containers. With volumes of over five liters, these containers offer opportunities beyond the paint sector, for example for food producers approaching restaurants and caterers. Segments with diverse product ranges, such as dairy, require different designs in small batches. This will boost the role of digital printing, where BOPP provides excellent printing and processing properties. Decoration of the underside of containers is becoming commonplace in IML. Increasingly, ingredient lists and barcodes are printed here so that they do not impede the overall package design. Finally, printing machine manufacturers are working on using UV LED systems to achieve a cold hardening process. As less energy is applied to the substrate, materials withstand the hardening process much better. The year 2016 should bring positive vibes which we have not been experiencing for a long time. Beyond printing presses, I see more of the converting equipment as being web-based, which gives value addition to the product and earns the revenue. 2016 will be a year of digital conversion and the time has arrived to prove that digital is needed, and we all have to gear up to explore this technology and adapt for the best outcome. We’ve seen many customers express the desire to work in partnership with ink manufacturers that are strategically focused on the narrow web sector and offer tailored solutions to address the challenges of today and in the future. There has been a continued shift towards digital color management. Driven by a growing demand for standardization of print quality and color consistency across global markets, this trend will pick up pace as more and more label makers, large and small, recognize the value in measuring color. Ultimately it’s the brand owners who will drive trends that will impact the entire supply chain, whether it’s developing a new ink or varnish product, digital applications, creating a sustainable ink and color management system, or addressing food contact material packaging compliance. Pulse Roll Label Products has experienced huge growth over the past couple of years and in 2016 we will continue to invest heavily to ensure we are well positioned to respond to the changing label market. Understanding our industry, having the right organisational structure, employing talented and skilled people, and investing in new product development, equipment and technology will all ensure that we can take advantage of the many industry opportunities that lie ahead. The label market remains a dynamic sector and it will continue to evolve in 2016. However, I see a number of megatrends having a significant influence on the industry over the next 12 months. Firstly, the pace of globalization will continue where larger label manufacturers and convertors will continue to expand their international operations, particularly in emerging regions. As this happens, suppliers will have to develop their ability to serve customers internationally and keep pace with this expansion. This is partly the reason why Bostik recently opened a new HMPSA plant in Bangalore, India and will make another new line operational in early 2016 in Changshu, China. Regulatory changes will also play a significant role in the label market, particularly in relation to food safety. Changing regulations remain a major area of concern for our customers so it is vital that all suppliers keep abreast of planned and potential changes and continue to innovate so that their offerings meet or exceed regulatory requirements. Finally, we’ll see customers continue to evaluate the total cost in use when making supply decisions. Rather than make choices in isolation, customers in the label sector are increasingly considering the impact of their decisions on overall operational efficiency. This is why adhesive suppliers such as Bostik work closely with allied suppliers including equipment manufacturers and suppliers of other label components – All with the objective of developing end-to-end systems which will lower the overall cost in use for customers. SMBs and large enterprises alike are making a big shift toward legacy system modernization. A key component of these modernization initiatives is labeling. Things like government and industry regulation, customer responsiveness, operational efficiency, varying production volumes, supply chain collaboration and brand protection are forcing companies to take a hard look at the systems and processes that support their labeling in an effort to identify opportunities to increase agility and reduce costs. Two of the biggest trends we see in these labeling system modernization efforts are standardization and centralization. Many companies have disparate systems that have been acquired through mergers or exist as part of legacy software implementations. Having labeling processes touch multiple systems introduces a host of problems like label errors, non-compliance, production downtime and product recalls. What’s more, maintaining multiple systems is very taxing on corporate IT resources. More and more companies are standardizing on a single platform for labeling that integrates with core business systems to streamline the entire process. Many times with legacy labeling software, companies find that label data resides in a variety of locations, making it difficult to search and index labels, facilitate label changes and approvals, capture and report on label printing history, analyze printer and device usage and manage changes. Many companies host labeling at multiple sites and locations, adding another layer of complexity. Companies are shifting to a centralized labeling system to address these challenges. Regulatory requirements are becoming more stringent than ever. Companies in heavily regulated industries like medical device, pharmaceutical, and food and beverage are under constant pressure to comply or else face hefty penalties and lost business. Many legacy compliance methods involve human intervention and consist of paper-based record keeping, maintaining multiple copies of records, and manual validation of records by multiple employees. These methods can result in costly and potentially life threating errors and oversights. The FDA has set regulations that focus on electronic methods to ensure proper data retention and validation in order to reduce errors which can impact safety and security. Labeling must be centralized, controlled and audited so that compliance requirements can be adhered to and validated. Companies should look for scalable multi-user design, print and management solutions that provide full label lifecycle management and allow them to adopt best practices to improve print productivity and reduce cost. Companies in regulated industries can achieve compliance using label lifecycle management systems that allow business users to design, review, approve and control label data. Data validation, time stamps, maintenance of records, and electronic signature capture enable compliance with FDA 21 CFR Part 11 requirements, EU GMP practice guidelines and other industry and government regulations. The consolidation on the hardware side of the industry is enabling some of the standardization and rationalization that companies are looking for. Now instead of supporting multiple types of hardware they are able to focus time and resources on a single vendor. The consolidation will also help accelerate the adoption of label management solutions (LMS) and in-fact extend it to mobile devices including handheld computers, tablets and mobile printers. Next generation mobile printing will go beyond simple template printing to deliver intelligent labels and receipts with much more dynamic content that makes better use of label real-estate. We believe that a majority of companies are not aware of their need for or are still trying to understand how to facilitate legacy labeling system modernization. The early adopters are already reaping the benefits of label management solutions and the technology adoption life cycle has now shifted to the early majority. We now see an increasing number of companies looking for ways to standardize and centralize their labeling to mitigate risk, optimize process and increase agility. As they engage in legacy label system modernization, they will benefit from LMS and create an operational and supply chain advantage that will help grow their business. 2016 should be a great year to the labeling industry. Global economic growth is the buzz word all around. The US will probably continue to grow and hopefully Europe will kick off this year. FMCG sales will increase and the shelves red ocean battle will be much more aggressive. The labeling suppliers' mission is to support the brand owners and facilitate them with the best appropriate solutions. New brands and sub-brands will show up frequently. The penetration efforts will require a tight hands-on proactive response from the entire supply chain side. The main labeling highlights will include: speed – design-order-print; shorter and shorter runs; more and more SKUs; higher printing complexity; cost, cost, cost. The labeling industry will have to react fast and adopt these market trends quickly. The digital arena is one direction, especially for speed and short runs requirements. But still, it has a lot of obstacles such as finishing processes, special additives and mid- and long-run pricing. As the recent Labelexpo shows, it looks like we'll see a strong move towards hybrid solutions, with a combination of fast high quality flexo with inkjet assuming ongoing printing quality improvements from the inkjet side. The electrophotography part of digital will have to close the gap and plan much faster and flexible solutions for the fast striving needs with serious economic benefits. To summarize labeling producers’ main 2016 challenges, we'll have to put a lot of attention on new technologies in order to support enhanced quality, lead time and productivity, combined with high attentiveness to our customers' ongoing changing requests. If you are involved in the label and package printing supply chain and would like to contribute your thoughts on the next 12 months, please email dpittman@tarsus.co.uk with 150-200 words to be included.